Horticulture – pay for dedicated staffing, supplies, equipment, and plants to complement the resources of NYC Parks and to preserve the splendor of the park and its gardens. Working with NYC Parks and volunteers, we plant some 47,000 trees and plants every year. Heather Garden – a recent framework plan tackles recurring soil problems, identifying ways to open up and frame views, expand existing perennial groupings, and incorporate small shrubs at key locations to create more structure and cohesion. The approach will help minimize ongoing maintenance of the garden and preserve its romantic feel and otherworldly aura. Alpine Garden – funded renovation of this dramatic cliff landscape, created the upper entrance, and secured Landmarks Preservation Commission and Public Design Commission approvals for the Grotto and staircases. American Elms – protect the park’s 39 historic trees from Dutch Elm Disease with a bi-annual inoculation schedule. Stone Walls – started the Fortify the Fort Campaign to provide funding for restoration of several sections of the park’s nine miles of historic stone walls. Playground Reconstruction – contributed $350,000 toward reconstructing Jacob K. Javits Playground (full cost: $2.4M), which hadn’t been renovated for 25 years. Volunteers/Park Stewardship – support some 38,000 volunteer hours every year, including individuals, gardening committees, and large corporate groups. Public Programming – transform the park into an arts venue by hosting performances and improve public health through offering fitness classes. The Trust provides funding for over 250 programs every year for adults and children, which are PUBLIC, FREE, and YEAR-ROUND, and include: Concerts such as Marjorie Elliot’s Jazz Ensemble, The Scandia Symphony series; history and naturalist tours and events, art workshops, fitness programs, and annual Shearing of the Heather, Egg Hunt, and Harvest Festivals. We sponsor events, such as the NYC Park Rangers’ Urban Wildlife Festival and the Higher Ground Festival, a multi-disciplinary arts event. Broadway Promenade – NYC Parks has helped us restore the landscape along the park perimeter and adjacent slopes. Sir William’s Dog Run – provide community activities and upgrades to Manhattan’s largest dog run. Medieval Festival – the Trust supports this popular annual event in the fall. Cabrini Woods – the Trust creates synergies with NYC Parks, which recently executed a $1M restoration of Fort Tryon Park’s pathways, landscape, and staircase just south of the Billings Arcade, creating a newly restored area called, “Cabrini Woods.” The Trust hosts for tours and birding for adults and children in this area. Breathe new life into a scenic landmark and consider making a donation of any amount right now! We rely on contributions from our local community and all visitors to preserve and enhance the park. All contributions help sustain the park as a regional natural treasure for years to come. Adopt a bench in honor of a loved one, to commemorate a special event, or to give a unique gift. A bench dedication endows a bench for the long term and ensures that it receives repairs, replacement plaques, and ongoing upkeep. You can also dedicate a tree or landscaped section of the park. A large donation to the park could transform or restore vistas and stone walls, and provide more safe and clean areas. To learn more about giving opportunities, please contact Executive Director Jennifer M. Hoppa at (212) 795-1388 ext 301 or jennifer.hoppa@forttryonparktrust.org. Your contribution is tax deductible within the limits prescribed by law. 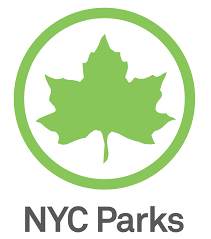 City Parks Foundation is the fiscal sponsor for the Fort Tryon Park Trust and the not-for-profit partner of NYC Parks. A copy of the foundation’s latest annual report can be obtained from Office of the Attorney General, New York State Department of Law, Charities Bureau, New York, NY 10271, or by phone at (212) 360-1399. Thank you for your support in sustaining our beloved natural area!